Each Camp Loopy Project has required more yarn. This one had to be 800 yards. 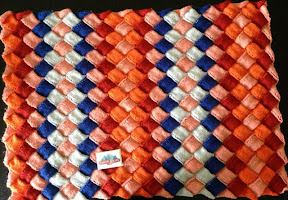 I quite like the entrelac blanket but If I ever make it again...highly unlikely... I would prefer it larger and that would be the challenge for me. So it's back to socks!